There have been many quite modest cars which were appreciated for their practicality and affordability when new, but it was inconceivable that they would ever become sought-after by collectors and, in some cases, quite valuable. VW Beetles and Combi campers come to mind, as do Citroen 2CVs, Fiat 500s and Morris Minors, along with a few Fords and, well, so the list could go on. Unsurprisingly there are also many much less modest models which have been appreciated and lusted after from the onset. By their nature, cars like Aston Martins, Bentleys, Ferraris, Lamborghinis, Porsches and so on were always highly desirable, even if they took time to appreciate in value. Here we’ve selected three; one humble workhorse and two which were both the fastest cars money could buy, and consider why they’re more admired and sought after now than they were when new. Launched by the Rover company not long after the end of World War II, the first Land Rover was conceived as a utility and light agricultural vehicle. Being robust with chunky tyres and all-wheel-drive it could do things and go places that ordinary cars couldn’t, but it was also extremely spartan inside and was originally classed as a commercial vehicle meaning that, unlike other cars, it was purchase tax exempt. The boxy and utilitarian Land Rover was really only appreciated by those who drove them out of necessity, be they army squaddies or country folk. Fortunately there were enough buyers around the world year-in year-out, not just to ensure the car’s continued production, but to keep the Rover operation afloat for many years. But to car enthusiasts and the general motoring public the Land Rover was seen for decades as something of an oddball workhorse which wouldn’t impress the neighbours, despite being favoured by overlanders, land owners and even HM The Queen. With the best part of 60,000 built, 1970 proved to be the Land Rover’s record year, but its status wasn’t elevated by the arrival of the Range Rover that same year. Although the first Range Rovers were also fairly basic inside – leather, carpet, wood veneer, aircon and so forth didn’t come ‘til later – the Range Rover was sheer luxury compared to a Land Rover. Having always been powered by humdrum 4-cyl petrol and diesel engines, from 1979 buyers could opt for a 3.5-litre V8 version. This was the same lump as found under the bonnet of a Range Rover, albeit detuned from 135bhp to 91bhp, but with a purposeful rumble the V8 variant could venture into the fast lane without fear of embarrassment. And so for the first time the Land Rover now had a modicum of street cred, and its image was elevated by more contemporary styling introduced in 1983. Then in late 1990 Land Rover played a masterstroke. 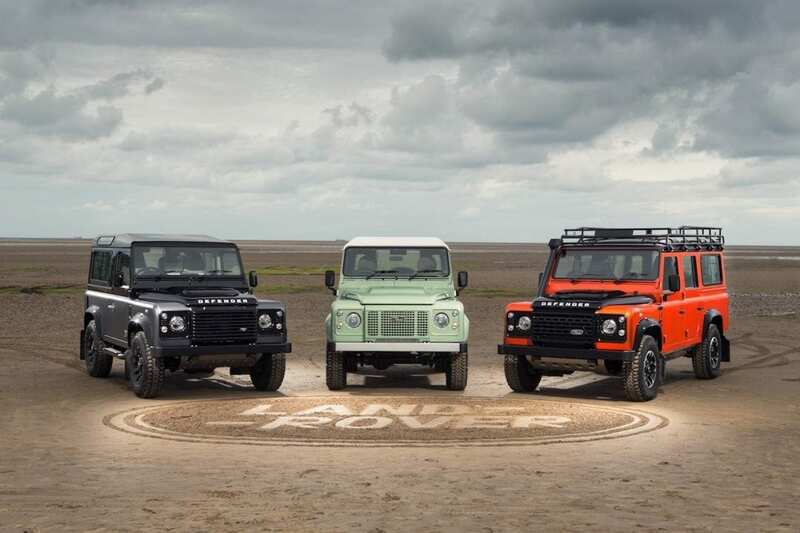 Having previously had uninspiring names imposed on it like Series I, II and III, and then 90 or 110 (in reference to their wheelbase, in inches), in late 1990 the 90 and 110 became the Defender 90 and 110. In terms of desirability this was the turning point as not only did the Land Rover now look good, it also had a gallant name emblazoned on its flanks that perfectly encapsulated the car’s outstanding capabilities and personality. Since then the Land Rover’s iconic status, if not its sales, has grown and grown. 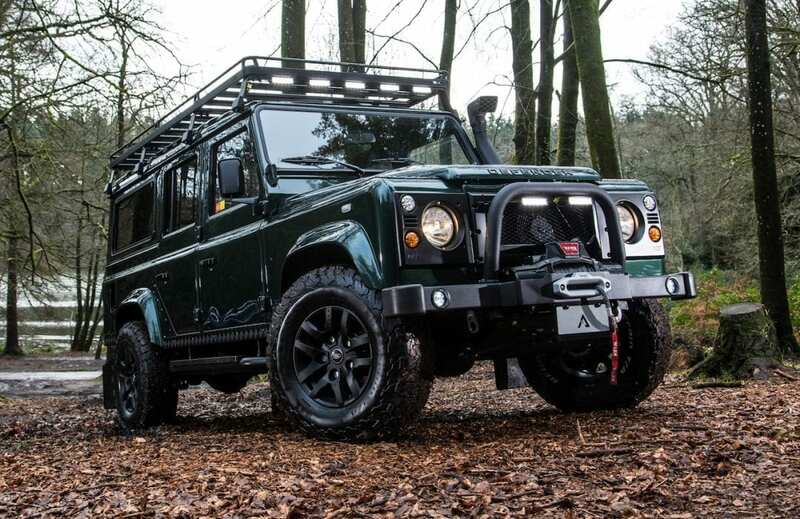 For many reasons it’s certainly not for everyone, but everyone loves a Landy, and you’re as likely to see Defenders on the gentrified streets of Hampstead or Dulwich as you are on the muddy lanes of Cumbria or Devon. Although production ceased after 67 years in January 2016, the Land Rover customisation industry continues to flourish with firms like Arkonik, The Chelsea Truck Co., Overfinch, RST, Twisted Automotive and Urban Automotive all turning out head-turning bespoke Defenders. 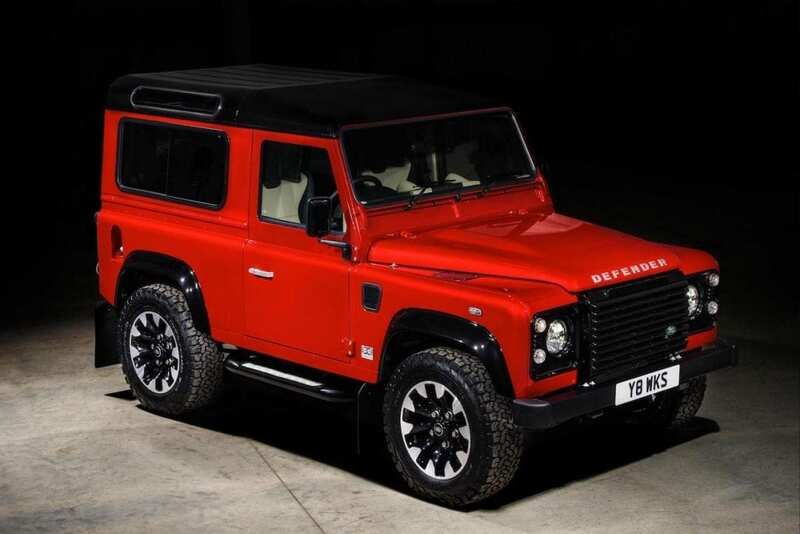 Not to be outdone, in mid January 2018 Land Rover announced the limited-edition Defender Works V8 to celebrate 70 years of the marque. With a 5-litre petrol engine, an 8-speed auto, 405PS, a 5.6sec 0-60 time, a 106mph max, diamond turned alloys, uprated brakes and suspension, Recaro seats, a full leather interior, LED headlamps and more, 150 will be built from specially-selected and re-engineered Defenders with prices from £150k. 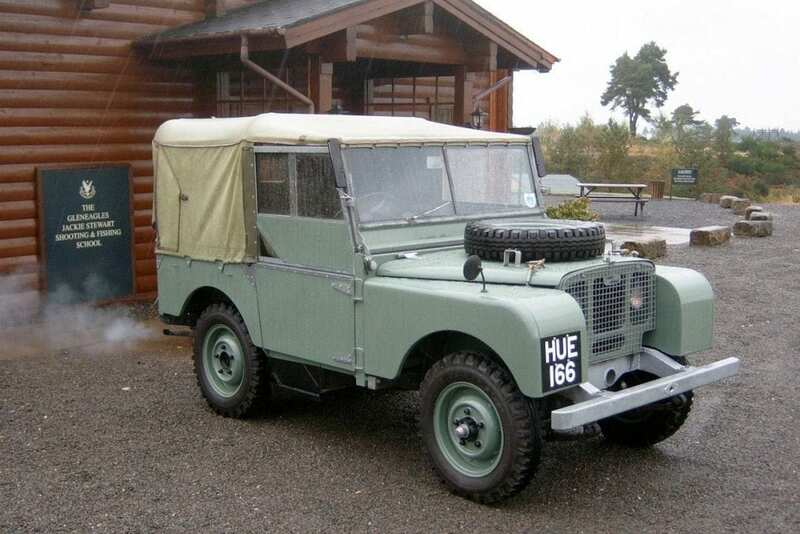 These days anything from a few thousand up to around £40k can secure an original 1950s Landy in fine running order. Not a lot for what in more recent times has become widely acknowledged as an automotive legend. Imagine a road-legal Vulcan over half a century ago, and you’ll have some idea as to the standing of the DB4 GT Zagato back in the day. However, the mere existence of such an exotic was no guarantee of success, and although 25 were originally scheduled for production but only 19 were produced in period would indicate that customers were scarce, even for a low-volume maker like Aston Martin. 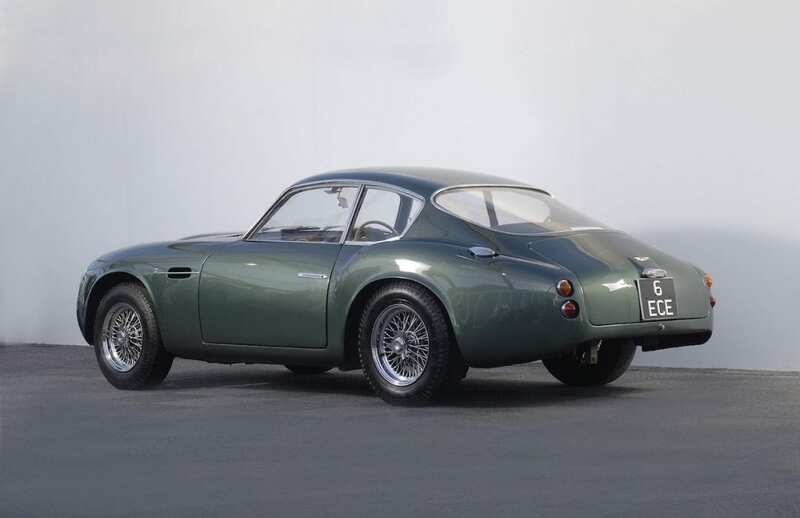 For a start, at £5,470 the DB4 GT Zagato was hugely expensive. And as is the way, Aston’s extravagant range-topper faced competition from within. 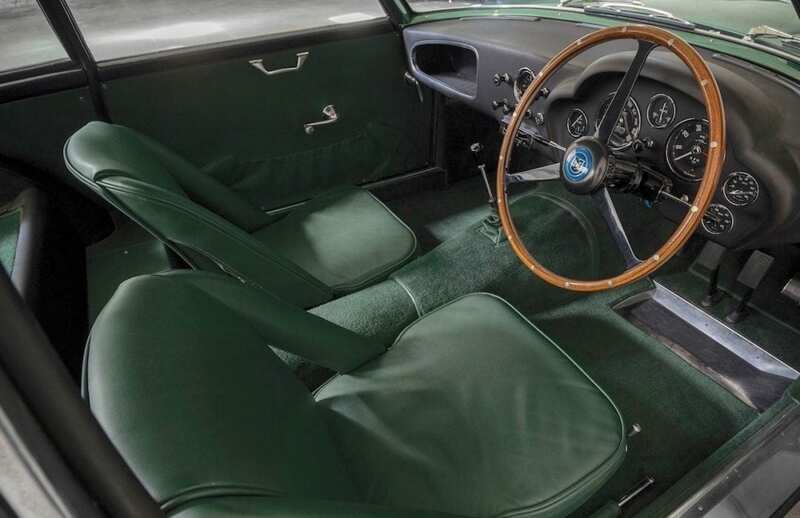 Aston’s 140mph DB4 also boasted beautiful Italian styling (by Touring of Milan) and it was priced at around £4,000 in 1960 when the 4 GT Zagato was launched. 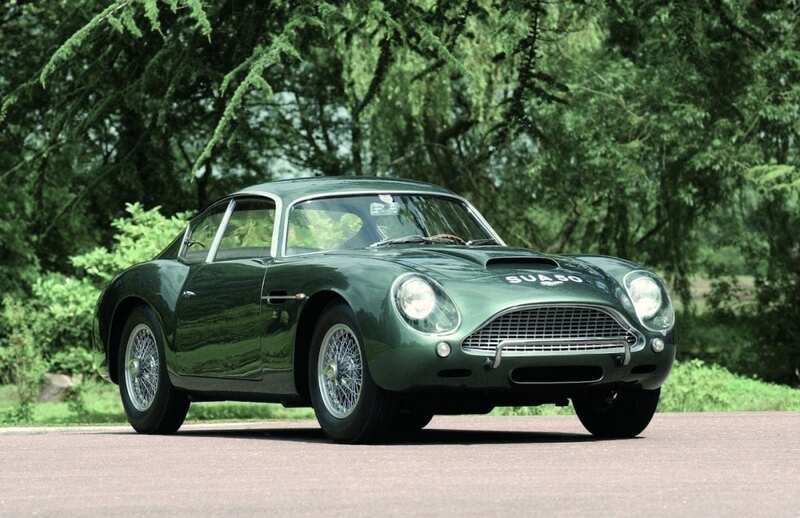 And the lightweight 153mph DB4 GT, on which the Zagato version was heavily based, could be had for £4,534. Not forgetting Ferrari of course, which first became available in the UK in 1960. Aston boss David Brown was keen that his firm should have a worthy rival to the 250GT SWB, and the DB4 GT Zagato was the direct result of that personal ambition. And then there was Jaguar. Why spend £5,740 on a 154mph DB4 GT Zagato when in 1961 a mere £1,550 would buy a stunning 150mph E-Type? Furthermore, there may have been a few well-heeled enthusiasts who cast an appreciative buying eye over an E-Type, a DB4 GT, a Ferrari 250 GT and maybe a Mercedes 300 SL and quietly asked themselves, ‘In all honesty, is the Zagato Aston quite as beautiful?’. Those with racing aspirations also had cold, hard technical matters to consider. The 314bhp 4GT Zagato weighed 1,225kg. With the same chassis, suspension, brakes and steering the 302bhp 4GT was a little heavier at 1,269kg, but its performance figures were about the same and its near identical 6-cyl 12-plug 3,670cc engine could be tuned to be on a par, and for somewhat less than the two cars’ £936 price difference. Looking back, the 4 GT Zagato’s racing accomplishments were overshadowed by its 4 GT sibling’s many successes, not to mention those of its still more successful Ferrari and Jaguar rivals. 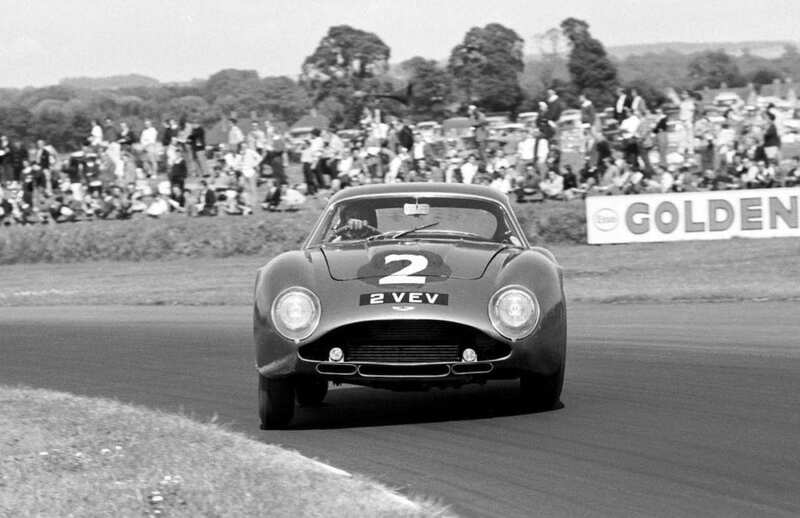 Although raced by the likes of Stirling Moss and Jim Clark, success proved elusive for the Zagato as it was apparently something of a handful when driven at ten tenths. Crashes and mechanical woes also dogged the car in major races, although with Moss at the helm one did score a prestigious victory at the British GP meeting in 1961. So, the Aston Zagato was expensive, it wasn’t particularly successful on the track and, if we’re brutally honest, although it looked sublime, so did its chief rivals. In spite of the above, the DB4 GT Zagato has since been hailed as the most beautiful and the greatest Aston road car ever built and among the finest cars of any make from any era, and its value now reflects such high praise. A total of 75 DB4 GTs were built and current values are now around the £2.5 million mark. In contrast, just 19 DB4 GT Zagatos were built in period, and with so few around they rarely come to market, but in late 2015 the hammer fell on a ’62 Zagato at £9.45 million, thus making it the most expensive British car ever sold at auction, albeit temporarily. A figure closer to £11.5 million would now be a fair estimate – over 4.5 times the value of an ‘ordinary’ DB4 GT, over twice the value of an even rarer E-Type Lightweight and about 65 times the value of a good early E-Type. The XJ220’s story is unusual in that the car was very much in demand by enthusiast collectors and investors sometime prior to it being produced. However, even before the first customer cars had been built, demand and love had plummeted and it’s only in the last few years that XJ220 values have started climbing back toward a level more commensurate for what was once, if only briefly, the world’s fastest hypercar. With more than a passing eye on cars like the Porsche 959 and Ferrari F40, Jaguar’s main attraction at the 1988 Birmingham International Motorshow was the XJ220 concept car. The car caused a massive stir and show-goers marvelled not only at its purposeful big cat styling and considerable dimensions, but at its specifications which included a 7-litre Jaguar V12 racing engine, all-wheel drive, active suspension and rear wheel steering. 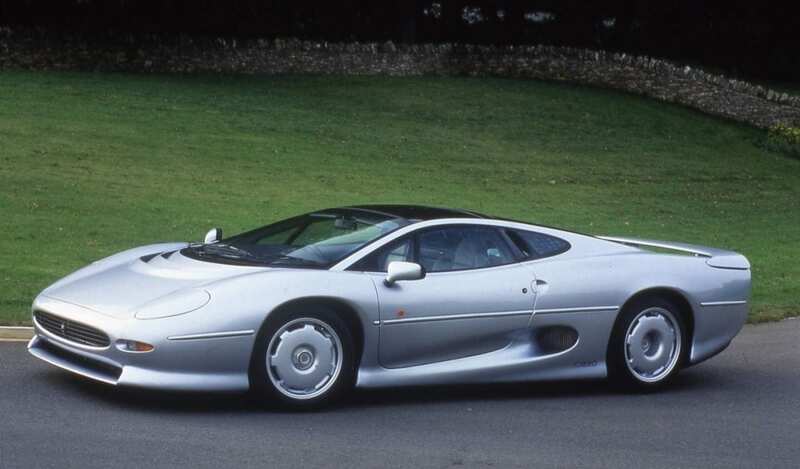 Although at this stage it was a concept car with no plans for production or any price announced, the XJ220 received massive praise from press and public alike and Jaguar, flattered and perhaps a little overwhelmed, accepted a number of blank cheques from eager enthusiasts keen to own an XJ220 should it reach production. At the end of ’89 the Coventry firm announced that it would make between 220 and 350 cars at £361,000 apiece. This may have been more than twice the price of a Ferrari F40, but it was also a time of fevered speculation and so by now some 1,500 eager buyers had placed £50k deposits. This meant that the list had to be whittled down on a first-come-first-served basis, while some patience was required by those still on the list as deliveries weren’t scheduled until 1992. During that two-year period there were two major unforeseen eventualities. For many and varied technical and logistical reasons the production XJ220 would be powered by a heavily modified version of the 3.5-litre V6 that had powered the now obsolete Austin Rover Metro 6R4 rally car, albeit with twin turbos added to boost it to 550bhp. The production car would also be rear wheel drive, not AWD, while plans for the active suspension and rear-wheel steering systems had also been shelved. These significant changes, especially the change from big V12 to V6, meant that many on the list became disgruntled and wanted their deposits returned. To compound matters, the recession of the early ‘90s coupled with the near simultaneous collapse of the collectors car market meant that many depositors no longer had the cash or the confidence to complete the purchase. Furthermore, due to inflation and other escalations, the price of the first customer car delivered in June ’92 had risen to a whopping £470,000. 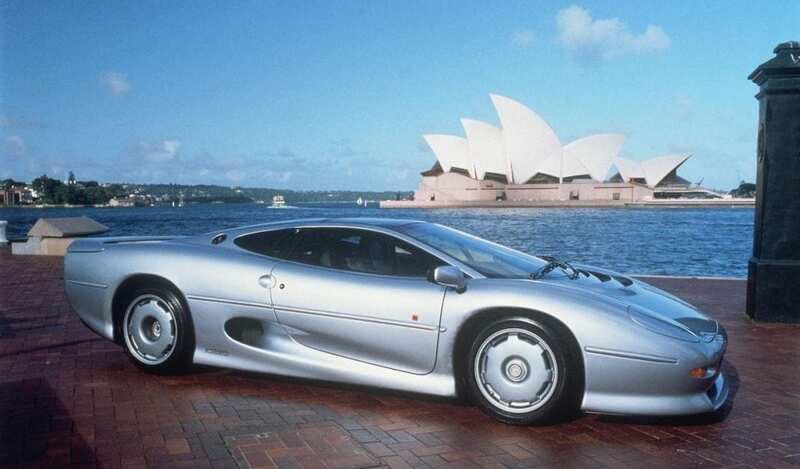 Production ended in ’94, by which time 275 XJ220s had been built. 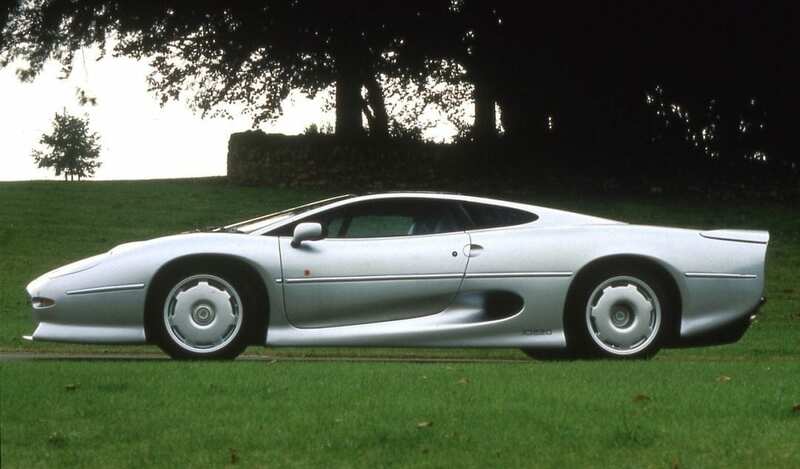 The following year Jaguar faced legal action from those wanting their deposits refunded on the grounds that the XJ220’s specification had changed. As things turned out Jaguar went to court and won the case, but it still had a hard time shifting the cars – one example was still in a dealer’s showroom as late as December 1997 at a heavily discounted £149,871 inc. VAT. Those who did buy an XJ220 had a car that was capable of 213mph, as achieved with a standard production car on test tracks in Texas and at Nardo in Italy. For obvious reasons Jaguar had hoped it would hit 220mph, but nobody argued that it was anything other than blindingly fast, or that it didn’t have a comfy ride, a comfy cabin and look good, but it took flak from road testers for pretty much everything else. These days XJ220 asking prices can be up to £500k or more, but realistic values would be region £200k to £350k. So, perhaps not the best investment one could have made in the early 1990s, but compared with its F40 and 959 contemporaries its still affordable, and there may very well be life in the old cat yet. We’re passionate about classic cars at JBR Capital and we can quickly build a bespoke finance package to suit your needs. So if you’re interested in acquiring the car of your dreams then please call one of our experts today on 020 3355 0035 to explore your finance options.